Quinn Rivenburgh (they/them) is an artist and art therapist. As an artist, they work mostly in papercuts, comics, and performance art. Their work has been a part of In the Heart of the Beast Theatre, Showroom Gallery, Red Eye, Patrick's Cabaret, Intermedia Arts, Hennepin Theatre Trust Made Here, the Cowles Center, La MaMa (NYC), and Bryant Lake Bowl. They practice therapy from a trauma-infomed, feminist relational lens. Through art therapy, I want to find ways to facilitate liberation through artistic practice. I am trained to understand the power of the creative process and the potential for art production. I aide clients in navigating life’s turbulence. I support individuals and communities in creating a more livable life, using artmaking as a strategy to articulate their own visions of understanding, balance, and strength. 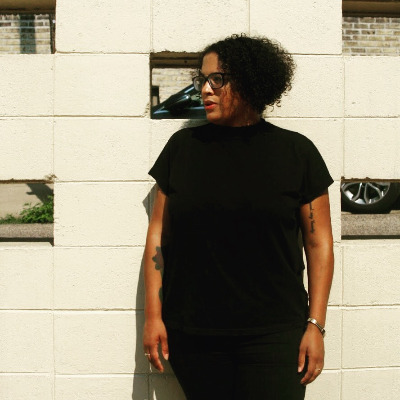 Junauda Petrus (she/her) is a creative activist, writer, playwright, and multi-dimensional performance artist who is Minneapolis-born, West-Indian descended, and African-sourced. 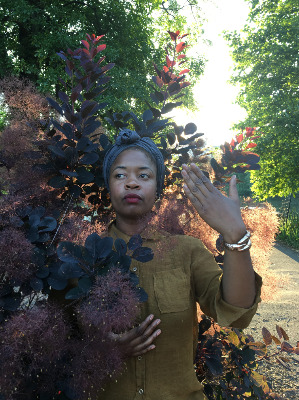 Her work centers around Black wildness, Afro-futurism, ancestral healing, sweetness, spectacle and shimmer. She has received a Givens Foundation fellowship, Jerome Travel and Study grant, Many Voices Mentorship with the Playwright’s Center, Naked Stages Residency at the Pillsbury House and a 2016 Jerome Film grant to write and direct an experimental and poetic web series about Black teens coming of age in Minneapolis, Sweetness of Wild, with filmmaker Mychal Fisher. She is the co-founder with Erin Sharkey of Free Black Dirt, an experimental arts production company. heather c. lou, m.ed. (she/her/hers) is an angry gemini earth dragon, multiracial, asian, queer, cisgender, disabled, survivor/surviving, depressed, and anxious womxn of color artist based in minneapolis, minnesota. her mixed media pieces include watercolor, acrylic, gold paint pen, oil pastel, radical love, & hope. each piece comments on the intersections of her racial, gender, ability, & sexual identities, as they continue to shift and develop in complexity each day. her art is a form of healing, transformation, and liberation, rooted in womxnism and gender equity through a racialized borderland lens. heather works in education as an administrator. in her spare time, heather loves ogling at puppies, snuggling with olive bear (her cat) and sprout (her dog), birdwatching, eating pie, playing her ukulele, and spending time with her loving partner. 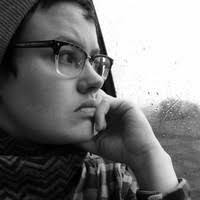 Currently, Brimmer is a co-editor of Queer Voices of Minnesota: Poetry, Prose. and Pride (MNHS PRESS 2019). This anthology of queer poetry and prose reflecting the LGBTQIA+ writer community in Minnesota is co-edited by John Medeiros and Andrea Jenkins. 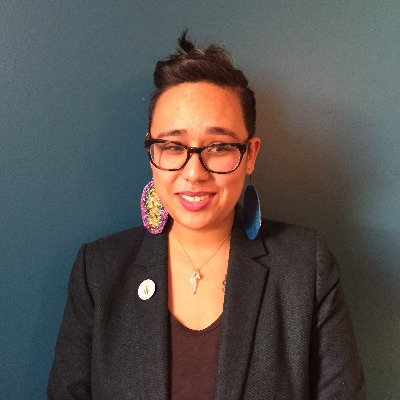 Her work has been published in Ishmael Reed’s Konch Magazine, Gazillion Voices, On the Commons Magazine, Burn Something Zine, the anthologies Walk Towards It (Ellen Hinchcliffe), Whisked: Cooking Up Community (Camille Gage), and Fierce Lament (Red Bird Press 2018). Her work has been performed in many Twin Cities venues, in Washington DC and a few in Wisconsin. Brimmer is a two time Givens Foundation for African American Literature fellow, a Playwrights’ Center Many Voices Fellow. Brimmer presented at Split This Rock! in 2018, and performed at AWP in 2017. She attended VONA (Voices of Our Nation) at Minneapolis' Loft Literary Center in 2017. Her directing has been seen on stage with 20% Theater Company with performance artist Rica de la Concha (2018). Her work has been featured in Twin Cities Daily Planet, The Spokesman Recorder, Insight News, MN Women's Press, and on the air with Minnesota Public Radio and KFAI.